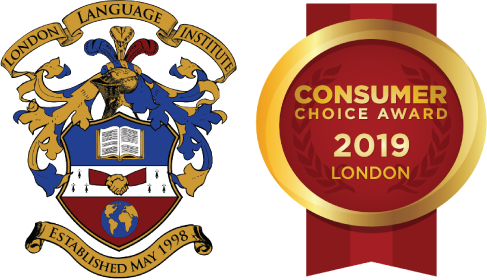 London Language Institute is continually building relationships with educational agencies and student recruiters around the world. These representatives and managers can assist students in choosing LLI programs, immigration issues, and flight arrangements. LLI recognizes the work and dedication of our representatives and offers a strong remuneration. 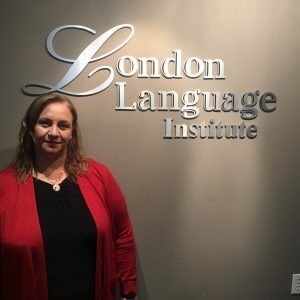 London Language Institute provides each representative and manager with promotional materials such as brochures, application forms, information on the City of London, as well as other specialty materials. LLI has also developed a training portal for our representatives to utilize that contains detailed information on all our programs along with digital marketing materials. In addition to our main programs, London Language Institute can also work exclusively with representatives and cater specialty programs to groups of eight or more students. is currently LLI’s head representative in China. She actively promotes LLI and LLI’s university pathway around China and part of our Quality Assurance Team in China. 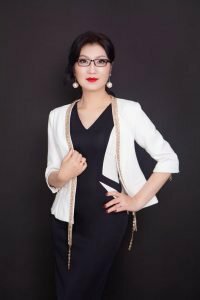 Guoguo is also a member of our International Management Department. LLI is proud to have Mr. Yi Dang as our Operations manager in Canada. Mr. Dang has worked in our head office in London, Ontario Canada a since 2016. A graduate of The University of Western Ontario and alumni of London language Institute. Mr. Dang is responsible for liaison with local agents and representatives and providing daily support for our Chinese students here in London. Mr. Dang is also our liaison to our partner company in China RuiAn Education. Mr. Dang is the head administrator for pathway applications for our students heading to university. RuiAn Education is London Language Institute’s operating partner in China. RuiAn Education is in charge of monitoring and assisting all schools that are approved to offer LLI’s TVO\ILC High School Program. RuiAn has their head office in Wuxi China. RuiAn is responsible for promoting LLI’s ESL program to potential partner schools. Leasing agreements and monitoring of our program offerings in China are performed by RuiAn Education. RuiAn is under contract with TVO and ILC through London Language Institute and has the authority to represent all LLI business in mainland China. Takako has many years of experience working with students from Japan. Having lived in London, Ontario for many years, Takako is able to welcome our Japanese students and provide assistance and support ensuring a student’s stay is enjoyable and relaxing. Takako travels to Japan routinely and is a great addition to the LLI team! LLI is pleased to introduce our Brazilian Management team. Marli Caporali has 10 plus years of experience working from Brazil. As representative of London Language Institute for North Africa and the Middle East, he is committed to assist public and private education bodies. Hisham is part of the LLI International management department. Sandra has over 20 years’ experience teaching ESL. She also toured Colombia interpreting for Canadian and British principles promoting their academic exchanges and summer camps. She loves adventure, languages and cultural diversity, and her dearest experiences in life have been traveling and studying abroad. Sandra would like to see more Colombian and Latin students taking advantage of Canadian Education possibilities. She is a graduate of the Pontifical Xavier University in Bogota Colombia with a Bachelor’ degree in Foreign Language Teacher Education. She also holds certification from TESOL Canada. In 1989 Sandra was an ESL student herself in Toronto. She returned to Canada and has lived in London since 2011. Other interests include teaching salsa dancing, and helping others brake trough healing pathways. Suheyl is a graduate of King’s University at Western and is responsible for student recruitment and business outreach in Turkey.